DETAILS:Qualified and experienced governess is needed for boy aged 5 years old and girl aged 8 year old. The children are already fluent in English. Full care around the children is included. There are no paid holidays for the Governess according to the contract. In case the Governess needs unpaid holidays (up to 4 weeks holidays a year) The Governess shall give the Employer not less than 4 weeks notice of an intention to take a holiday so that alternative childcare arrangements can be made. If the holiday period requested is not convenient for the Employer, the Employer shall agree an alternative period, which is convenient to both parties. The Governess shall be entitled to receive 5 days paid sick leave per annum. Thereafter sick pay will be at the discretion of the Employer. The Governess will also need to play and develop the english of child aged 1,5 child for 1-2 hours a day. No nursery duties after child aged 1,5 years old. LOCATION:Rublevka (Moscow region) JOB BENEFITS: Salary - negotiable The family refunds the expenses of tickets and provide free return tickets (economy class to the UK and back) ACCOMMODATION: Separate room in the staff house SCHEDULE: rota 2 weeks on - 2 weeks off; The hours of work are not limited and start at 7am and till the children go to bed. The working hours during the working day may be changed/split depending on the changes in the children’s timetable. 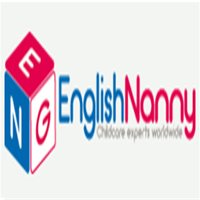 JOB REQUIREMENTS: Family prefers candidates 27 - 35 years old with PGCE and with experience of teaching and long term work in 1 family only British candidates are considered. The family can also consider British couple.